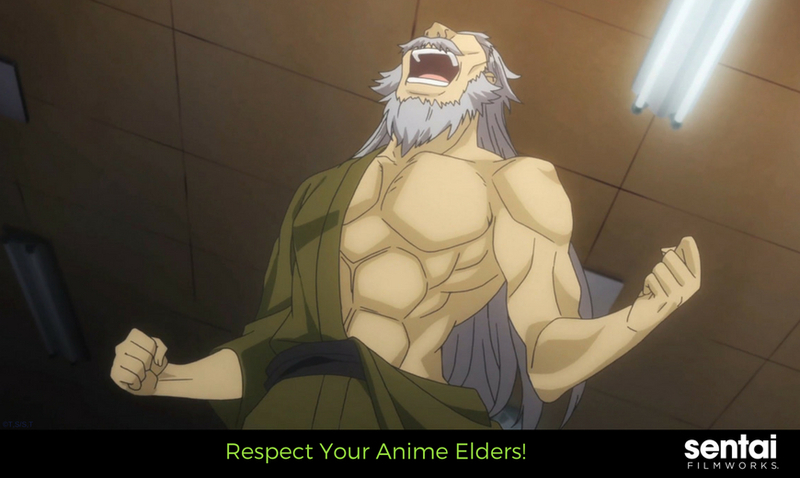 Anime elders don’t get enough respect, which is a shame. It is so common for stories within the medium to focus on the exploits of teenagers that people are often considered old if they’re over the age of 30. The main teenage cast are the ones who ultimately save the world or fall in love, but think about it for a moment: don’t they usually get the support of someone from an older generation? 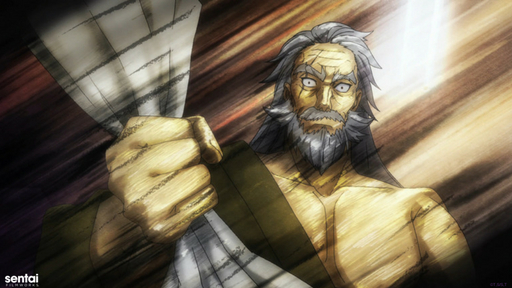 Ever notice how the absence of a parental figure is a prevalent trope in anime? The probability of a teenager missing one or even both of their parents is abnormally high. Having an intact family structure is the exception, not the rule. That’s where an elder usually steps in to fill the void in a mentor role (Whether or not they’ll die somewhere along the line to further the main character’s development is another story). So, let’s take a moment and give a shout out to a few people who deserve credit! Don’t let her youthful appearance fool you: she may appear young, but she’s old enough to be a grandmother several times over (don’t say that within earshot, she HATES that). 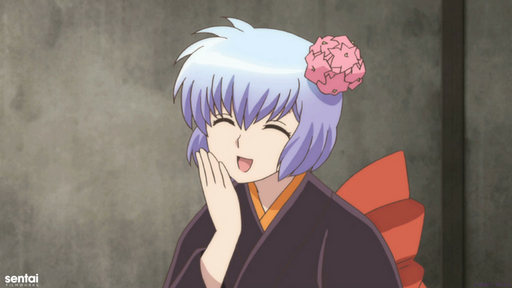 We’re pretty sure if we asked about the secret behind her looks, she’d give us an in-depth explanation about her daily regimen, but we’re confident that being a shinigami residing in the afterlife has something to do with it. She absolutely adores her grandson and often finds herself caught up in the gang’s zany adventures. 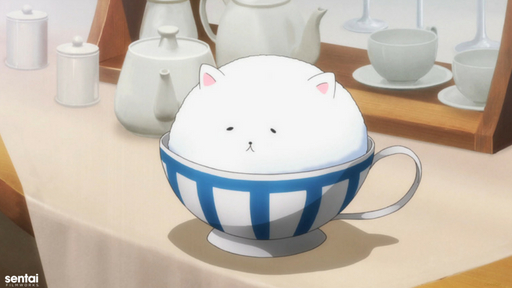 Do you remember the last time that happened in an anime series? That a grandparent tagged along with the teenage cast on a regular basis? 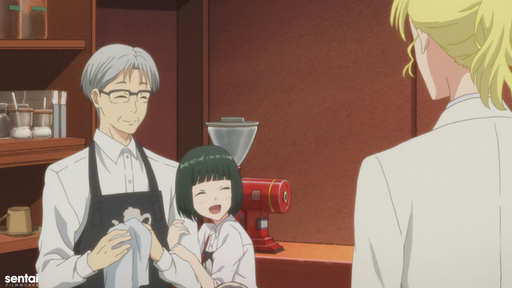 Tamako proves that, no matter how old you are, it’s never too late to join the fun. This woman deserves props for showing us that age isn’t something that should stop people from living their life. This man is THE high school volleyball coach. 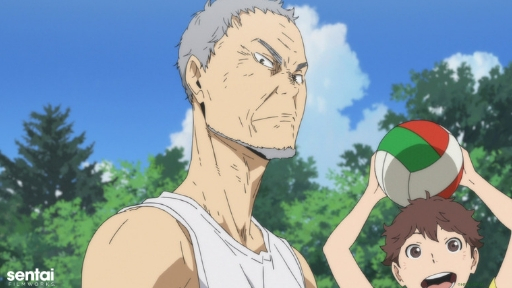 His guidance is what made Karasuno the respected powerhouse that it was known for and you cannot talk about Haikyu!! without mentioning this guy. His presence is so instrumental to the series that his influence can be felt all throughout the story. One could even argue that his actions set the stage for the entire plot. Needless to say, those are some big shoes to fill for anyone, and he’s not even the main character! Coach Ukai deserves a lifetime achievement award for that alone. Senzaemon Nakiri - Food Wars! Ok, this man is seriously impressive. Not only is he a connoisseur of fine food, but he founded a world-famous culinary institute that would make reality TV chefs proud. Oh, and he’s ripped. We don’t mean, he just happens to be muscular for someone his age. Senzaemon could probably bench press a bodybuilder and intimidate a charging bull just by staring it down. He’s always finding any excuse to show off his muscles, even if it means baring his chest after consuming delicious food. He’s demanding, but he’s still pushing the students to reach higher. There’re enough clothes explosions that happen to women in this series, so it’s only fair that we get some beefcake as well. Tippy - Is the Order a Rabbit? What you see here is an angora rabbit. Yes, that’s an actual animal. Do a Google image search for “angora rabbit” and see for yourself. We’ll wait. Crazy huh? That’s one fluffy rabbit, more so than usual! The big question is: what’s a rabbit doing in a blog about elders? That’s because this rabbit is Chino’s grandfather. You read that right. That’s Chino’s grandfather. How did this happen? Well, we… don’t really know ourselves. To be fair, it’s a huge mystery. Did he die and reincarnate? Did he swap bodies and there’s a rabbit trapped inside an old man hopping around somewhere? No one knows for sure. What we DO know, however, is that Tippy is always there to lend a sage piece of advice to his granddaughter and looking adorable while doing so. Cut this guy some slack. He already has enough problems as it is. We can all sympathize with having to meet the demands of an unreasonable boss at some point in our lives, but President Hyodo takes the word “difficult” to an entirely new level. It’s one thing to force employees to work overtime to meet a last-minute project deadline, but mandating that a death game is devised for no reason other than entertainment to relieve boredom? That’s cold. 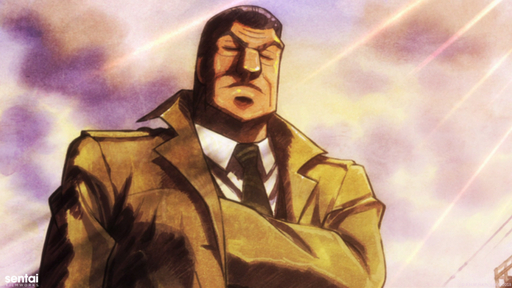 As far as respect is concerned, Mr. Tonegawa automatically makes this list just for all the thankless crap he has to put up with on a daily basis. Be sure to catch his weekly adventures over with our friends on HIDIVE! Elders have much to teach you. They’re a resource of life experience and knowledge, especially when they step in to fill the void that the absence of parents creates. Case in point, Tada’s parents are unfortunately no longer with us, but this grandfather gladly steps in and becomes a parent for the second time for Tada and his little sister. He’s the epitome of kindness and patience, and we should all be as lucky to have someone like Shozo in our lives. Agree with our list? Did we forget to include anyone that you feel with all your soul should have a shout out? Tag us with @SentaiFilmworks and let us know by using the social media buttons below. Also, don’t forget to sign up for our newsletter!